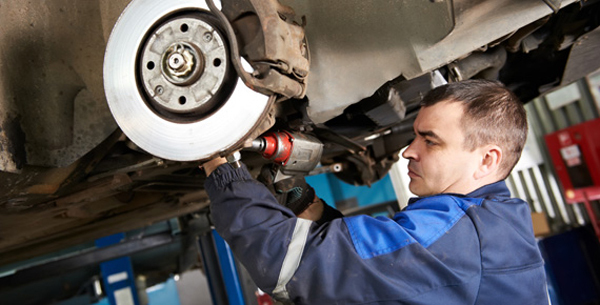 Regular servicing is an important contributor to a safe driving experience. With hundreds of moving parts all playing an important role in the functioning of your vehicle, keeping it well maintained can be the difference between a part failing or breaking down during your journey and safe, uninterrupted travel. Simple aspects such as tyre pressure and the changing of engine oil can affect the condition or performance of your car if they are left to deteriorate. Ultimately, servicing your car will save you money and improve your safety in the long run by reducing instances of breakdowns and major repairs. Regular maintenance will also ensure that your car runs better and offers you the best performance. For example, neglecting to change your engine oil on schedule means your cars’ performance may suffer. Oil plays an important part in lubricating all the moving parts of your engine which means your car will not have to work as hard, benefitting you through fuel economy and a longer lifespan of your engine parts. Good car servicing centres such as Autotech Cheshire based in Macclesfield also strive to educate drivers on how to keep their vehicles in their best condition and get the most out of them. Everyone knows that vehicles lose value the minute they are driven off a sales lot. Having said this, a well maintained vehicle would not lose as much value in comparison to one that has been neglected. Whether you are concerned about the resale value or you just want to keep your beloved motor looking its best, servicing your car on time can preserve the value of your vehicle saving you a considerable amount of money. To conclude, we have seen how a regularly and well-serviced vehicle can serve you better, enhance your driving safety, and extend the lifespan and value of your car as well. In addition to letting qualified professionals service their vehicles, car owners can also take it upon themselves to perform simple tasks such as checking the oil and water levels, tire pressure, and lights regularly. The benefits of such practices far outweigh the potential problems you may end up facing if your vehicle is not serviced well, so remember to always follow your service schedule to get the very best out your car.